STL (Studio to Transmitter video links) are Point-to-Point microwave links to transport digital TV Programs (in ASI or IP formats). The links operate in the frequency bands from 2 to 30 GHz and can be used at line-of-sight distances of up to 50 miles (80 Kilometers), depending on options such as frequency band, output power, modulation format and antenna size. The STL can transport from one to four ASI streams or its equivalent in IP format. Each ASI stream transports from one to six video programs simultaneously, SD or HD. An optional ENCODER is used to generate ASI streams by multiplexing video from the Studio, which can be provided in SDI or HDMI format. The output of the link is ASI or IP to be fed directly to the TV transmitter. Each link consists of an indoor unit connected via cable to an outdoor unit. 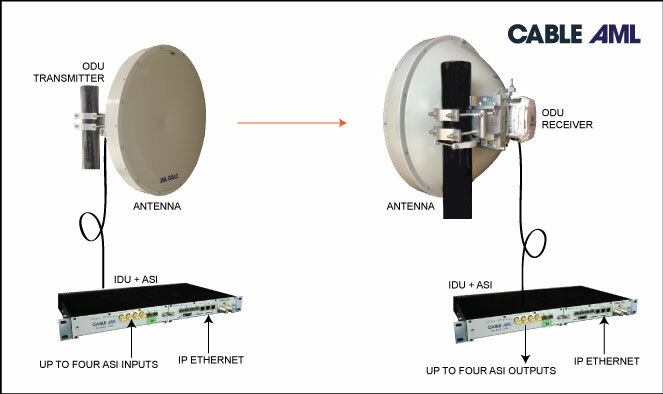 The outdoor unit connects directly to the parabolic dish antenna. Frequency agility is available in most models. The links are available in a variety of options, which include the operating frequency band, input signal format, type of modulation for transmission, number of TV programs, transmitter power, antenna size, and operating voltages. H.265 COFDM multi-channel IP video transmitter. It adopt the latest COFDM modulation and H.265 video coding technology, enable to support 4 channel IP inputs and digital video interfaces (HDMI/SDI/CVBS), and capable for nonline- of sight (NLOS) transmission. The module has achieved effective improvements in improving coding efficiency, reducing coding delay, algorithm optimization, antierro rate and the image quality which achieves the best image compression effect. Support narrowband(1MHz), low latency, transparent data transmission which can help you to achieve a long-distance multi-channel simultaneous transmission by connecting a single transmitter in single frequency. The 1.5U rack mount video receiver adopts the current leading COFDM demodulation technology and relative narrow-band frequency(2/2.5/4/8MHz), it has the strong anti-jamming capability, overcomes the reflection and cover caused by transmission multipath simulation technique and conventional modulation techniques, to realize high-speed photography and real-time receive high quality image in NLOS or complicated working environment. Easy for vehicle placed and view. The wireless digital video transmitter was designed for use with both HD and SD cameras, it’s an innovative product of wireless HD links for advanced and professional electronic news gathering, television outside broadcasts and studio applications. It adopts the latest COFDM (Coded Orthogonal Frequency Division Multiplexing) modulation technology and H.264 encoding that complete video audio transmission in high-speed motion and NLOS (non line of sight) conditions with low delay. 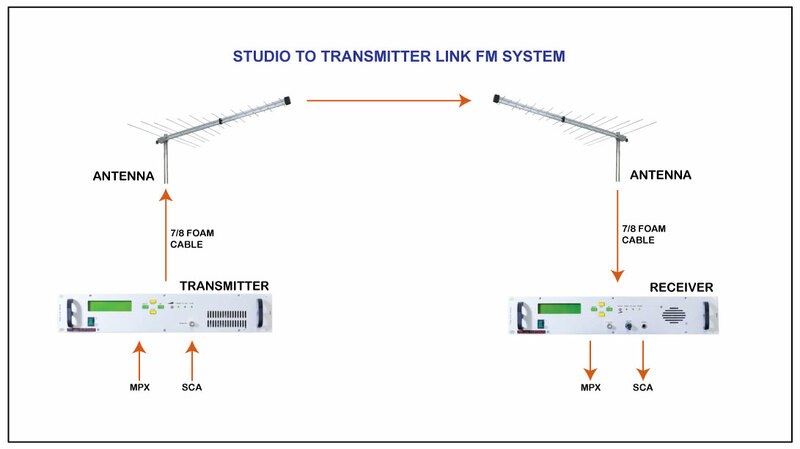 The MT-MR Platinum Radio Link System is an STL (Studio-Transmitter Link) used to transport FM radio information from Production Studios to a distant Transmitter station. It is available in all frequency bands below 1 GHz. 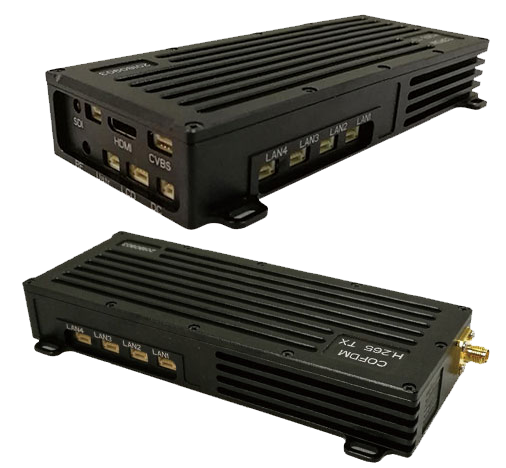 The MT-MR Platinum system transport a high-quality stereo program and three specialized SCA channels used for commercial audio, low-frequency data transmission or telemetry and remote control purposes. This Radio Link not only can work as STL point-to-point system, but it can also work as multiple-repeater Relay system in any configuration. 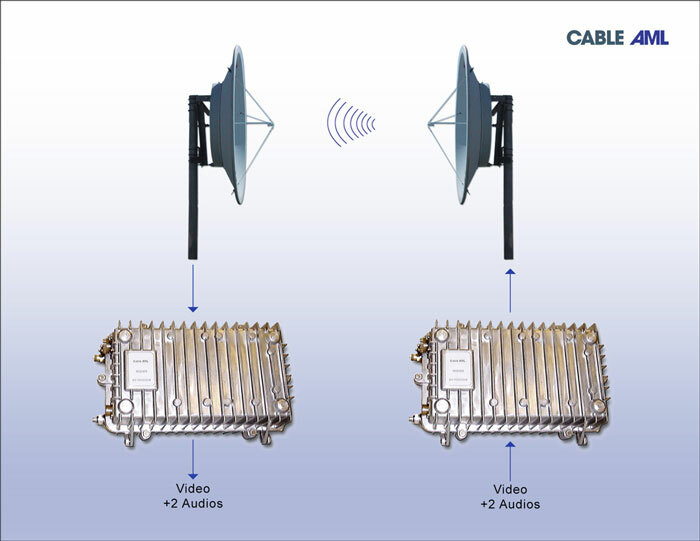 Provision of an audio dropout at each repeater station allows the creation of regional chains having multiple Transmitter Stations. Balanced mono, stereo (MPX) and 3SCA inputs. LCD reading of frequency (6 digits), direct/reflected power, modulation level and component of the pilot signal (19KHz) while transmitting. CAML-T90 is a real-time video transmission terminal based on multi link aggregation technology and H.265 coding technology. It is equipped with 3 built-in 4G modules and a USB expansion interface,Support for external modules: 4G/WiFi, supporting WiFi and cable network access. Highly reliable link aggregation technology can maximize the convergence of all network link bandwidth to transmit HD video in real time. About 600 grams of weight, compact design and simple touch screen user interface, it can meet the portability requirements of various scenes at the same time with high reliability. The CAML-T90 graphics transmission system’s proprietary cloud aggregation server can receive and distribute multi-channel video streams at the same time. CAML-T90 provides the equipment foundation for mobile news gathering, outdoor live broadcast and emergency command. The TVLINK product family consists of portable TV Video links designed to transport high-quality video and stereo audio channels from one point to another. The system works at line-of-sight distances of up to 50 miles (80 Kilometers), depending on options such as operating frequency, output power and antenna size. The baseline system operates in the license-free 5740-5860 MHz band but other frequencies of operation are available upon request. The system transmits NTSC or PAL video channels with stereo or mono audio. Standard operation is for one channel only but it can be configured to carry from one to six video channels simultaneously. The link includes two parabolic dish antennas which provide a very directional link with maximum rejection of unwanted interference from nearby transmitters.